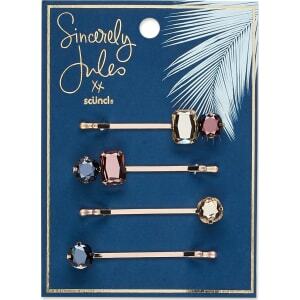 Sincerely Jules by Scünci Jeweled Bobby Pins - 4pk, Kids Unisex, Multi-Colored from Target. as a top international fashion and lifestyle influencer. Today, her millions of followers turn to her for her laid-back, effortless style. Julie has loved hair accessories from an early age, finishing every outfit as a child with a bow. Her partnership with Scunci brings her easy, wearable style into the world of hair accessories, and she looks forward to empowering her followers to share their creative ways of tailoring these pieces to their unique, individual style. Julie lives by the motto ""Dream, Believe, Achieve"" …and encourages everyone to do so. 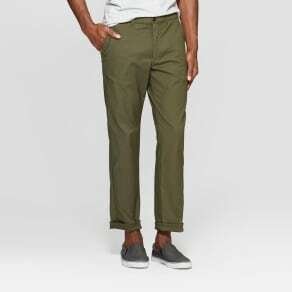 #SincerelyScunci Color: Multi-Colored. Gender: Unisex. Age Group: Kids. Pattern: Solid.